When it comes to its clients, Bannockburn Capital offers substantive & sustained strength. We provide the right programs, at the right times, with the right insights, all with high-level expertise that supports you through to the final investment disposition. Michael founded Bannockburn Capital in1995 with a new take on proven investment models. As an early innovator in the low-income housing industry before Bannockburn, Michael expanded with a broad base of under-leveraged tax-advantaged investments, supporting institutional tax reduction demands. Michael developed Bannockburn as a tax-advantaged investment consulting broker. 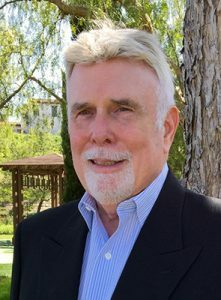 With 30 years of seasoned expertise, placing nearly $5 billion of investment equity in affordable housing, historic rehabilitation and the newer credits in renewable energy and new markets, Michael continues to represent a broad range of investors and selectively chosen quality, reputable investment solutions. He brings the same client dedication, energy, innovation and expertise to multinational insurance companies, financial institutions as mid-sized and regional firms on a daily basis. While supporting his clients in achieving their returns, Michael takes pride in the community impact provided by Bannockburn-facilitated investments. 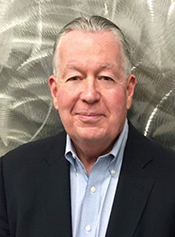 Prior to founding Bannockburn Capital, Michael graduated from Boston College with a BS in finance and served in the Marine Corps from 1968 to1972. The apex being an infantry rifle company (180+ men) commander in S.E. Asia at the age of 24. Sy’s institutional tax-advantaged investment experience spans over 30 years, with extensive expertise in structuring, due diligence, investment evaluation, and capital acquisition. He has managed the raising of $4 billion of investment equity. Sy’s experience extends to equity and tax credit investments in affordable housing/real estate, brownfield, historic, new markets, and renewable energy credits. A frequent speaker on tax-reduction investment, Sy has spoken on behalf of the Affordable Housing Investors Council, the National Association of Affordable Housing Lenders, the Financial Planning Association, the Office of the Comptroller of the Currency, and the Federal Reserve, among others. Prior to joining Bannockburn Capital in 2009, Sy served for 20 years as Senior Vice President of Institutional Investment for a major tax credit syndicator where he headed the syndication, marketing, and sales groups, also serving on the Executive Management Committee and Portfolio Placement Committee. He has extensive experience in commercial real estate with international/domestic developers. Sy’s alma mater is Michigan State University.